With rooms that can accommodate as few as ten people to up to 275, Blennerhassett can be used for a variety of meeting, weddings and events. Catering for events is available and the experienced staff is always eager to assist you in handling the arrangements. One of the signature meeting spaces is the Charleston Ballroom & Promenade. Located on the first floor, this is the property's most spacious banquet room. With a maximum seating capacity of up to 175 people, divisible into one, two or three rooms to accommodate most any group. 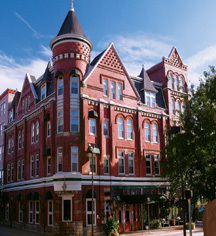 It is adjacent to the Promenade, Blennerhassett's lavish pre-function area. The high ceilings and elaborate chandeliers make this space the property's most extravagant and dramatic. 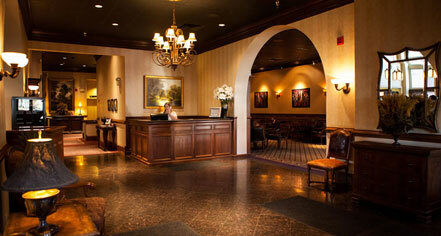 High-speed, wireless Internet service makes the hotel an excellent choice for seminars and training.